Yes, I know that the picture above shows Samsung Pay open on a Galaxy Note 5 with a US Bank card ready for use and that this post is about Wells Fargo. I’m sorry, I don’t bank with Wells Fargo and can’t provide you with that level of an experience here. But still, this is big news, so ignore that image! 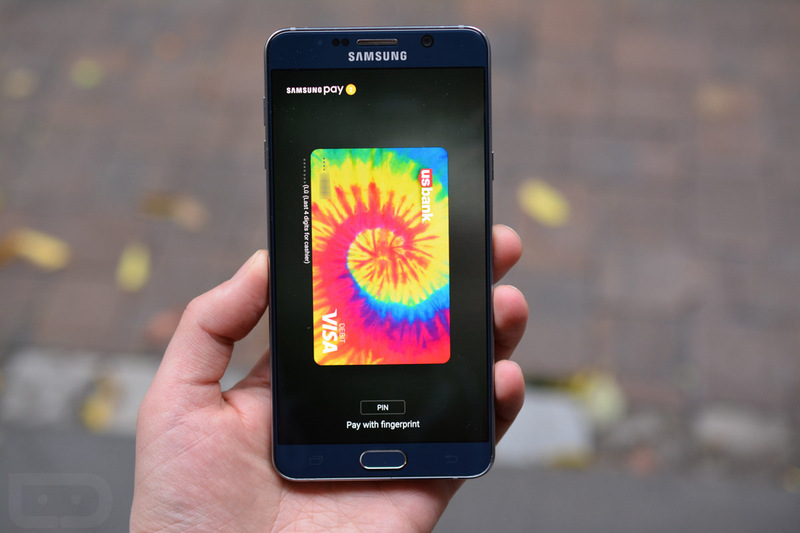 Wells Fargo is now on Samsung Pay! I think it’s still safe to say that Samsung Pay is by far the best mobile payment system available today, even if it is limited to Samsung’s phones. By adding Wells Fargo, I can’t even imagine how many new users will now sign-up and start using it. For a list of supported banks, head over to Samsung’s site here. Is your bank or credit card supported?